Interested in watching the birth of a brewery? 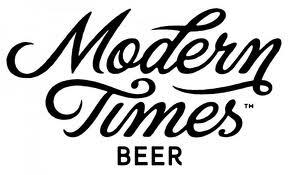 Follow Modern Times Brewery from its inception to its first can of delicious beer. Join the journey! LIKE on Facebook! Hi folks! I just wanted to introduce the brewery I’m starting here in San Diego: Modern Times Beer. I’ve been holding off on starting a thread until the financing was all lined-up, but now that this thing is actually, really, definitely, for sure going to happen, I wanted to share some of what I’ve got planned and get some feedback. A little background on me: until about 6 months ago, I worked in the media department at Stone, and prior to that I did a little writing for a few beer magazines. Became a beer geek about 6 years ago after a series of fortuitous visits to The Hopleaf in Chicago. Here’s more info on me and the origins of the brewery project if you’re interested. The brewery: the current plan is for a 30bbl brewhouse with a small tasting room, hopefully within the city proper. Probably 4 year round beers in 16oz cans, some seasonals, and a bunch of special release/one-off stuff. Distribution will probably be limited to San Diego/Southern California initially, but all that is yet to be worked out. The beer: probably one of the most exciting developments thus far is that I managed to convince Mike Tonsmeire, a.k.a. The Mad Fermentationist to help out with recipe development and sour/special release brewing when the time comes. His sours are absolutely among the best I’ve ever had, and the core beers we’re developing are extremely promising. Potential year round beers: hoppy wheat (about 4.5%, mostly Citra hopped, nutty/dry malt character, pungent citrus aroma), oatmeal coffee stout (around 5.5%, pitch black, tastes like a chocolate covered espresso bean but drier), amber IPA (about 7%, mostly Nelson, medium body, very dank/floral), pale ale (about 5.5%, loads of Simcoe/Amarillo), saison (about 5%, using spelt and corn, kind of in-between a “table saison” and the bigger versions), and hoppy rye red (about 6.5%, mostly Cascade/Sterling, piney/peppery/spicey, this one’s still evolving). Alright, feel free to fire away with questions and Mike and I will do our best to answer.